Hot Weather Concreting in tropical countries, such as India, air temperatures may rise up to 40-50 deg. C. during summer months. Such temperatures combined with high wind velocity and/or low humidity enhance the rate of evaporation of the water, increase the rate of hydration of cement, which factors reduce the Setting time of the concrete considerably and this is apt to effect adversely the properties of hardened concrete. Concrete placed at high temperatures is prone to excessive contraction due to rapid evaporation of water; there is increased drying shrinkage, which tend to develop cracks soon after placing, even before hardening is complete. Even though water forms about 1/6 to 1/8 the total weight of concrete, the role it plays, especially during summer months, is of much significance the quantity of water used and its temperature. 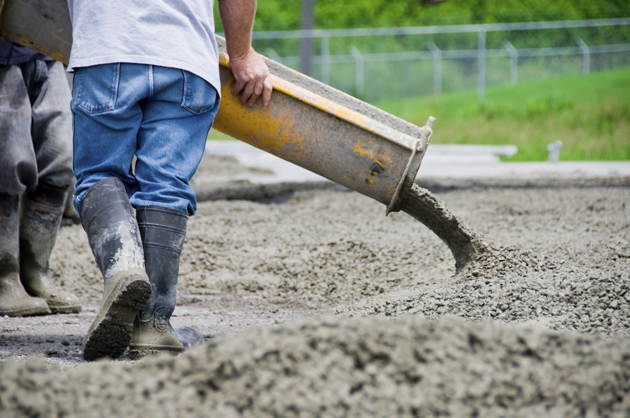 The quantity of mixing water in a unit of concrete is decided primarily by the work ability desired, besides the role of the maximum size of aggregate. To obtain higher workability more water is required. Due to accelerated hydration of cement and loss of water by evaporation, the concrete is prone to lose workability and to maintain the required consistency water content will have to be increased. But merely increasing the water Content without increasing the cement content will result in decreased strength and durability. Drying shrinkage of concrete is directly proportional to water content. Rapid loss of workability makes compaction difficult. As such, mixing and placing of concrete at high temperatures may not develop its full strength. As for as possible cold water should be used for concreting in hot weather. Rapid hardening cement is not suitable for hot weather concreting. When high temperatures prevail during the summer, it is best to abandon concrete work. Hot weather concreting shall be avoided at temperatures exceeding 38 deg. C. Aggregates shall be stacked under shade and sprinkled with cold water immediately before use. As far as possible all mixing should be done under shade, and mixing time should be the minimum that will ensure quality. Every effort should be made to lessen the time elapsing between mixing and placing. The mixer may be painted white on the outer Side to lessen absorption of heat from sun and air. Protect the concrete from exposure to sun and drying hot winds with wet gunny bags or hessian cloth as early as possible. In the case of flat surfaces, it may be convenient to use a gabled framework supported across the side-forms and covered with hessain, tarpaulins, or strawmats (which can be made traveling stands). Water curing should be started as soon as possible by ponding. Setting time Retarding Admixtures:. Addition of 0.05 percent of sugar by weight of cement, has been found to retard the setting time of concrete by about two hours in outdoor hot weather condition of 44 deg. C. temperatures. For the same water-cement ratio, workability and strength are also improved. For equal strength, the sugar admixed concrete would enable a leaner mix to be used, resulting in about four per cent saving in cement. Over dosage of sugar is harmful. Sugar is added to the mixing water.